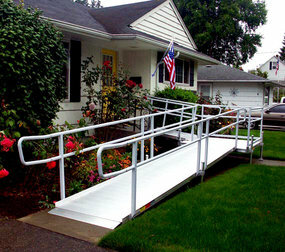 R&R Mobility can also assemble and install a customized modular ramp for your home or business. With many options and configurations a solution can be found for almost any obstacle. Along with modular ramps we also carry threshold and portable ramps of many different sizes and types.